Speakers volunteer to discuss subjects that are timely and important to today’s youth and their family structure. 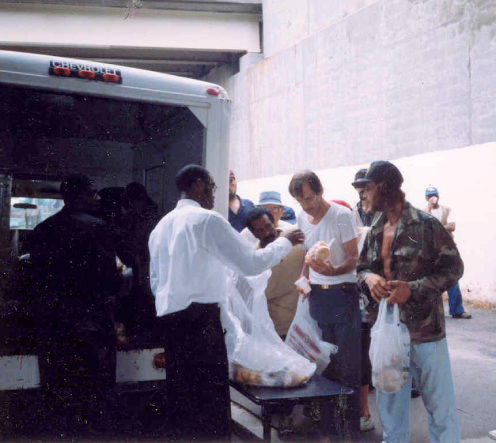 Turkeys, with all the trimmings for a balanced meal, are distributed to families in need during the holiday season. On this day Easter Bags are distributed to the first 200 toddlers, preschoolers, elementary school students and junior high students while serving coffee and pastries to adults. Photos with the Easter Bunny are available. Held October 31st, the Harvest Fest offers an alternative to Trick-or-Treating by bringing the youth off the streets and placing them in a safe, friendly environment. The Harvest Fest provides youth and their families an enjoyable night of fun with great costumes, games and a pasta dinner with dessert! Upon exiting, youth 18 and under receive a bag of candy. The uplifting event embraces the season of sharing, love and family by bringing families back to the breakfast table over a nutritious meal, games and fun. The event is topped off with a visit from Mr. and Mrs. Claus, who present gifts to youth 18 and under.